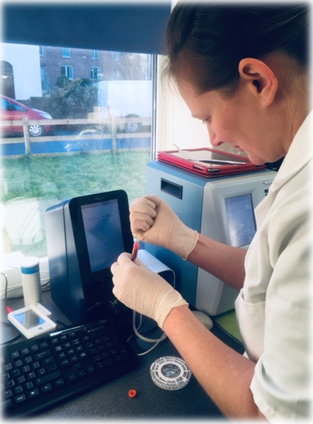 Our onsite laboratory is based at our North Tawton practice. We are able to run an extensive range of tests in-house to get quick, reliable results for your Equine. We have a hematology and biochemistry machine which can analyse blood profiles within just 15 minutes. This machine can enable us to look further into problems such as weight loss, anemia, infections, liver/ kidney function and muscle damage. We recommend routine health profiles for older horses to check the function of vital organs and allow us to provide support for these organs as early as possible. This machine tests the level of immunoglobulins with in the blood. Immunoglobulins are transferred from mare to foal within the colostrum in the mare's milk. If the transfer of immunoglobulins is inadequate then the foal's immune system is at risk and the foal should receive a plasma transfusion to avoid infection or ill health. IgG levels can be tested 18-24 hours after birth and we recommend all foals are tested. 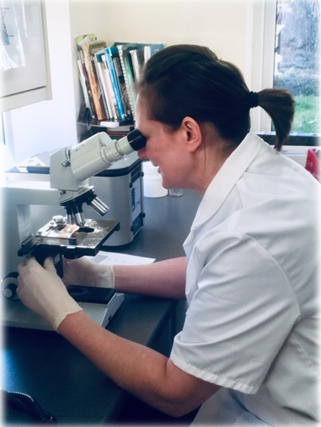 FWEC (faecal worm egg counts) can be performed in-house with results back the same day. We always recommend having a FWEC done before worming your horse. We recommend you should worm your horse against tape worm once a year. Various urine tests can be performed in-house.